On the ABC show Scandal, Olivia Pope is a fixer, specializing in crisis management. Her clients have delicate, urgent, serious problems; she solves them. 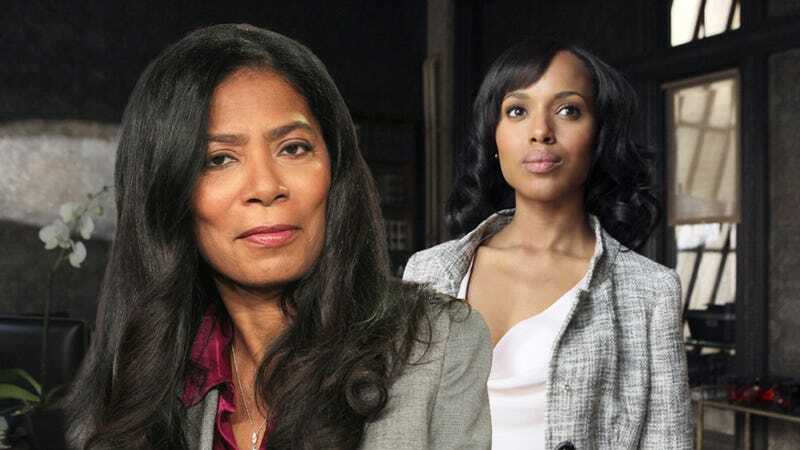 As you may know, Olivia Pope is based on America's number one crisis management expert, Judy Smith. One lucky reader was chosen to be counseled by Ms. Smith; her advice is below. I spent three years in graduate school, doing very specialized work, to the tune of six figures of student loan debt. I spent another year and a half waiting to be professionally licensed. Last month, I finally started doing the work I spent three years preparing to do, and I hate it. I am miserable and burned out (ALREADY) and have precommitted to at least the next two years doing the type of work I do (loan forgiveness program). It'll be over nine years before my loans are paid off completely. I can't believe I hate it as much as I do, considering all the time I spent preparing to do it (internships doing what I thought was precisely the same thing, etc.) while I was in school. Getting through the last five weeks has been nearly unbearable and I have no idea how I am going to keep my head down and get through the next few years. I have a history of telling myself that the present situation is bad because of something hyperspecific and when that changes, everything will get better. Spoiler: it hasn't. That hasn't stopped me from applying for different jobs, though. At the same time, I hate the idea of sacrificing the rest of my youth to this misery and I have no idea what to do. While it's easy to romanticize what life will be like once we get to a certain point, we are often in for a big surprise when we arrive and find that what we have built up in our minds has fallen short of reality. I see this a lot with young people coming out of school — and even experienced it myself in the beginning of my career. Nobody expects to go to law school in order to basically fetch someone's coffee — especially if they have been recruited by a highly sought after law firm. No one becomes a doctor to find herself fighting with insurance companies more than they do helping actual patients in need. But, unfortunately, this is the reality of the careers we find ourselves daydreaming about as children. Sometimes it's a matter of paying our dues and accepting our starting spot on the totem pole and other times it's just accepting that there are going to be parts of our dream jobs that are less than ideal. It seems as though you had a pretty good idea as to what you were signing up for and had spent time in internships that seemingly represented what you would one day be doing. So, I would first urge you to examine why there is such a large discrepancy between your actual experience and what you were led to believe based on your graduate school studies and related training experiences. Furthermore, what about the last five weeks has been unbearable— specifically? Like I mentioned before, is this just a matter of paying your dues? You've only been at this for relatively short amount of time, so keep in mind that the transitions into new jobs are always the toughest part. Have you talked to others in your profession that experienced similar feelings when they first started out? Is there the chance that in time your present career will prove to be more fulfilling (you'll acquire more responsibility, your duties will change, you'll have more autonomy, etc)? Is the cause of your misery related to the environment such as the coworkers you work alongside or supervisors that you work under? Be cautious not to throw away all of your hard work because there are some less than ideal (and temporary factors) clouding your overall experience. Another thing I suggest you examine is whether or not denial has played an issue in your life when it comes to your career choice. What first led you to this career choice and what motivated you to keep pressing on in the past through difficult times? Most likely, this is not the first time you have doubted your life choices. What has changed this time where, instead of working through it, you are now deciding on whether you even want to continue? I often asked my clients to examine the role that denial has played in their lives because that is a strong defense mechanism people often use in order to ignore the warning signs and continue down a path that is not right for them. For example, as you neared the finish line to attaining your degree — with your financial debt chained closely to you — did you feel as if you had no other choice but to press on because of the financial situation that was created even though your gut told you that this wasn't the right career for you? Or, were you experiencing pressure from friends and family to complete what you started so that instead of changing course you convinced yourself that this was the right thing to do— even though you knew it wasn't? Pinpointing what your true feelings were during the whole process may help you determine whether or not what you are experiencing is new or if this dissatisfaction has been with you all along. If you come to the conclusion that you were in denial then I urge you to confront what that means now. Don't be afraid to change course. You might have put a lot— financially and emotionally into your present position, but that toll will only rise (along with your dissatisfaction) if you stay somewhere you know in your gut you are not meant to be. If you feel like you've made a mistake, then you are doing the right thing by looking for other jobs. Be smart about it. Explore all of your options. For example, you said you are in a highly specialized field but are there different areas within that field where your background would still be applicable? Be realistic though- make sure you work through the process and are running toward something— not simply running away from something. Understanding what led to your present unhappy situation will help you avoid falling into another similar situation in the future. On a final note, the debt situation you accumulated is an unfortunate and scary reality of our educational system. But know that even people who are completely fulfilled in their careers have similar financial obligations. The fact that you are looking for other jobs suggests that you may be able to get out of your two year commitment early. In regards to the debt, don't go underground — get on the phone, show up at the offices, do whatever you have to do to work it out to your best advantage (in some cases, you may be able to negotiate better terms than what was initially agreed to). Don't let the debt be the reason you feel you have to stay in a career that is not right for you. It's not at all unusual for our paths to change especially in our youth. It's completely understandable to feel as if the years you spent up until this point have consumed and defined your whole life. The good thing is that your youth covers a greater period than you are probably allowing for. Remember, it is very rare that we keep the same goals and dreams and never change or adjust them. Good luck to you — I hope this advice helps you work through the process. Judy Smith is the founder and President of Smith & Company, a leading strategic and crisis communications firm with offices in Washington D.C. and Los Angeles. She is also a Co-Executive Producer of ABC's Scandal and her advice on managing personal crisis has appeared in the Huffington Post, ABC.com and elsewhere. You can find out more about managing personal crisis in her new book, Good Self, Bad Self. You can also follow her on Twitter (@JudySmith_), "Like" her on Facebook (where you can also take quizzes to better learn how you can curb your crisis potential), and learn more about Judy and her work on her website, judysmith.com.